Nutrisystem Update: Mission Accomplished…100 Lbs. lost & at Goal! When you hear the stories of the people that have realized a dream, it’s always so inspiring. And I hope that as you’ve been on this journey with me, that you’ve found inspiration in some of the struggles, challenges and triumphs that I’ve had. I’m forever grateful to have had this opportunity with Nutrisystem–it has changed my life for the better in so many ways. As I said in my first Nutrisystem post, I’ve gained and lost hundreds of pounds. But I finally think I have done the work and have the tools to make this weight loss a permanent change. I’ve learned about the importance of portion control, I’ve found success in a low-glycemic approach to my diet and I’ve learned to commit and actually like daily exercise. As I close the weight loss phase and begin maintenance, I’d like to thank all who have been reading my weekly Nutrisystem updates and of course, thank Meredith and Nutrisystem for the amazing support. After starting Nutrisystem on March 13, 2011, I can finally say….I’ve lost 2.8 lbs. since my last update, bringing my total weight loss to 100 lbs. (woot!). If you’d like to lose weight and get healthier on Nutrisystem, or for more information, go to www.nutrisystem.com and take advantage of the summer savings. Weekly Nutrisystem Update: On the Move! Weekly Nutrisystem Progress: Change it Up! Weekly Nutrisystem Update: Celebrating Non-Scale Victories! Nancy, this is SO AMAZING. I am so happy for you and inspired BY you. CONGRATULATIONS!!!! You are an inspiration. You go girl!!! 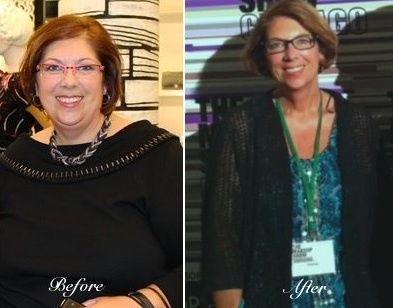 Thanks for finally writing about >Nutrisystem Update: Mission Accomplished100 Lbs. lost & at Goal! – Beauty411 <Liked it!